Info: A great dive for all. Great vis surrounds this prominent coral mound. 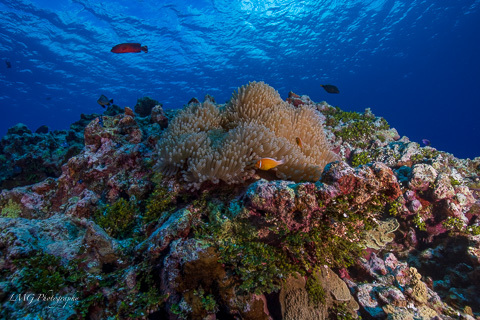 The reef reaches up to 20′ in a surrounding area of 40-65′ mixed reef & sand flats.